I could not be more excited to share this new light with all of you! 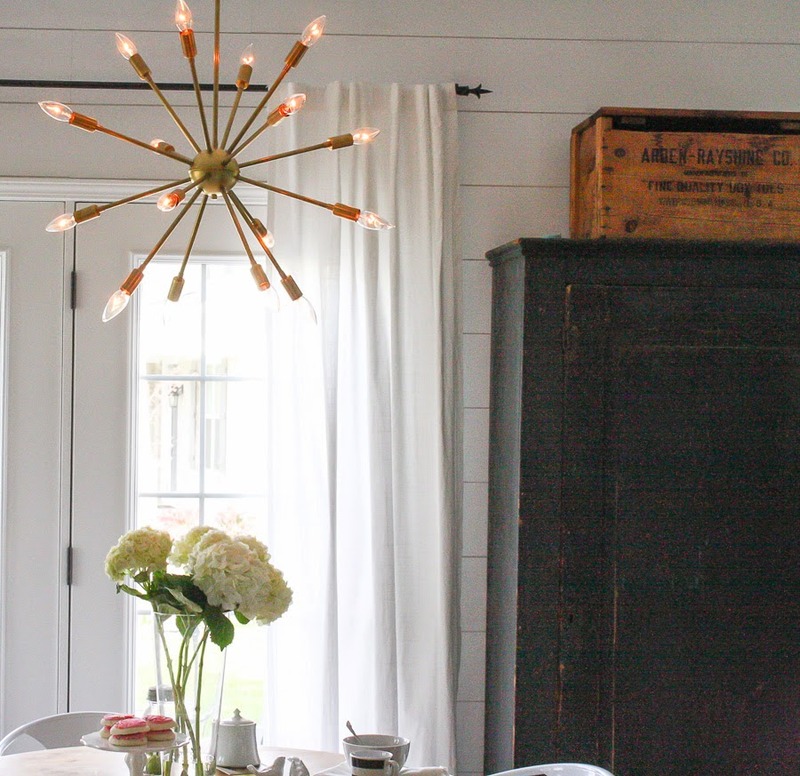 Say hello to my Mid Century Round Sputnik Chandelier! Sarah is the owner and not only is she super nice but she is a dream to work with! We talked about what I envisioned for my space and she was full of suggestions to help me decide on the perfect sputnik for my kitchen. Once my decision was made, her shop went straight to work and just this past week this amazing fixture arrived on my doorstep. I love it so much, I seriously cant stop staring at it! 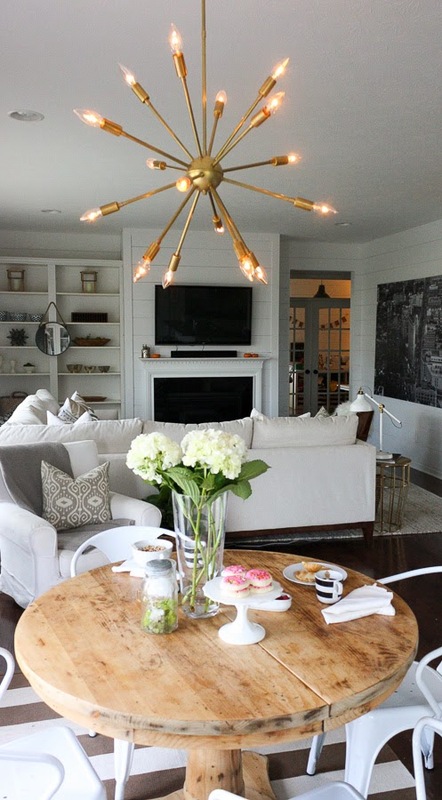 I love the design element it brings to the space and I'm so happy that she suggested the raw brass because it is beautiful. 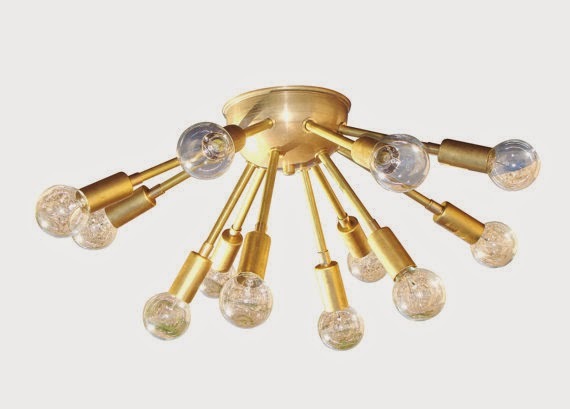 I have big plans for my kitchen and this light is going to work so perfectly when it all comes together. Lucent Light Shop even has their own blog! Its full of awesome advice on the best light bulbs to use and great inspiration photos of vintage lighting. When deciding on the light, the only worry I did have was where to hang it exactly. My own personal feeling is that with this type of lighting the typical 28-32 inch from the table rule of thumb doesn't necessarily apply. Besides, rules are made to be broken and I had to go with my gut on what was going to be right for me in this case. I researched as many pictures as I could of Sputnik chandeliers and finally decided that this would be the right height for my table. Sarah made sure that it was wired with plenty of extra wiring so that we had enough wiggle room to add length if we needed too...she seriously thought of everything! Even installing it was a piece of cake! Brian had it wired and hung (with my help, of course) in about twenty minutes. 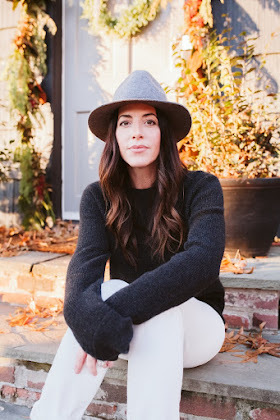 I am forever hooked on Lucent Light Shop and the amazing pieces they are creating there! 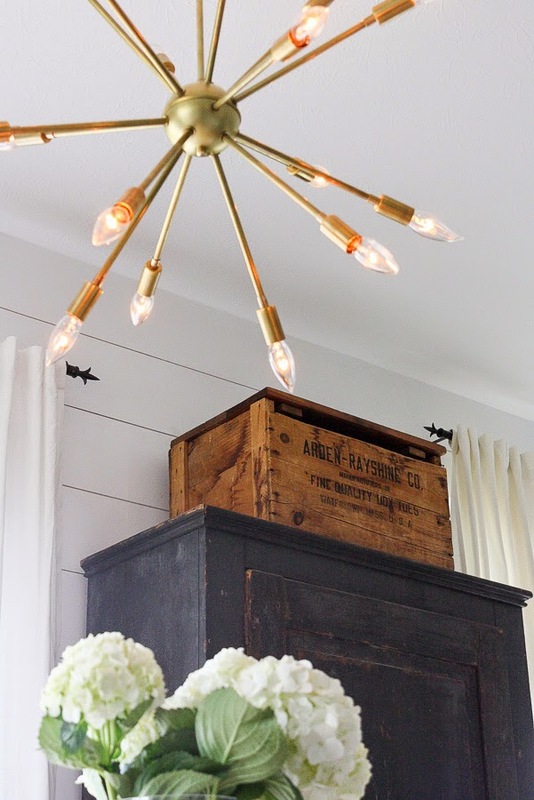 This is definitely the place to go if you are considering vintage lighting for your home. Oh hello gorgeous....how about you come live with me?!? House Seven readers 10% off orders, today through November 30th!!! Just use the coupon code Houseseven10 at checkout! Now you have no excuse not to grab one for yourself! 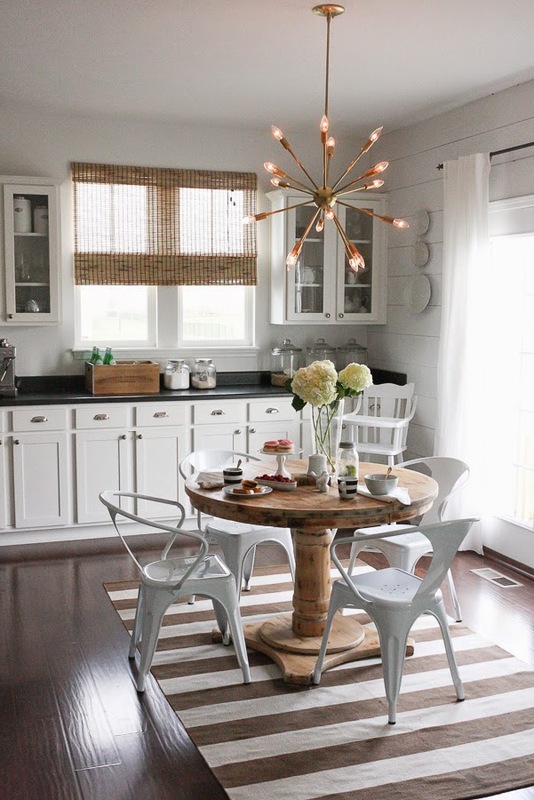 4 comments on "A Sputnik Chandelier for my kitchen"
OOOO I love that ceiling mount sputnik! Light looks great! It's gorgeous!!!! What did you do with the old light?!? 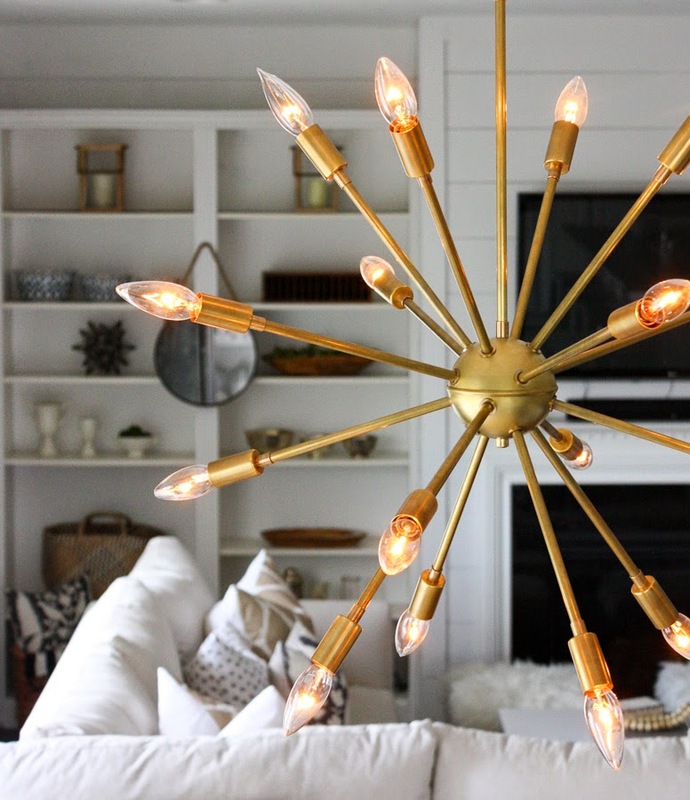 Lighting decisions are SO hard in my own home because I love so many different styles! Looks great - before and after!!! 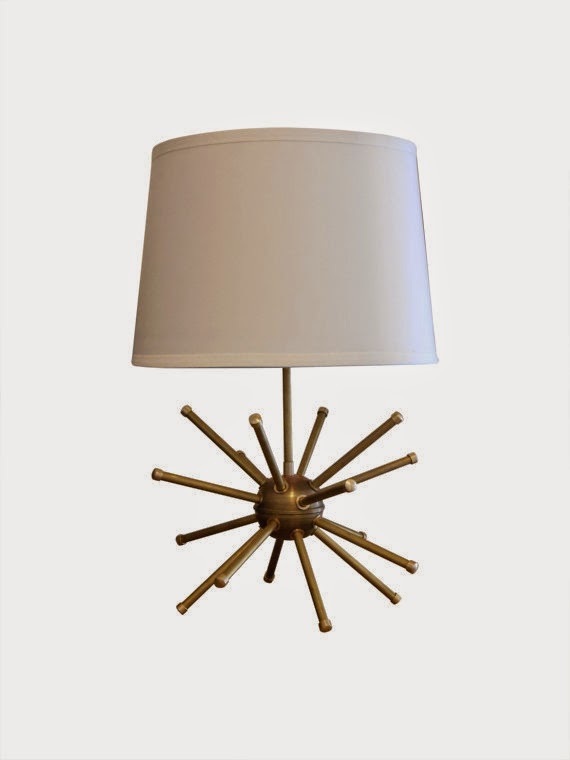 Thanks for posting so many great pictures of your new sputnik. What height did you decide to hang it? I am trying to decide what height would be best for our 10' ceilings. Thank you! Snoozing People Pillowcase in the Shop!